Control the message by explaining, in simple and honest terms, exactly what happened/ is happening. Don’t get emotional or look for sympathy. Just state the facts. Admit any wrongdoing, if applicable. Offer a resolution or plan of attack for the future to calm fears. It’s been hard to ignore the black cloud hovering over NBC the past week. The whole network has been rooted in unrest as Jay Leno’s prime time show was canceled and whispers became loud rumors that everyone in the lineup would do a backwards shuffle – Jay would move back to the coveted 11:35pm slot, Conan and The Tonight Show would be forced out til the next morning at 12:05am, and well, let’s not even get into what happens to the Not Funny Jimmy Fallon or poor Carson Daly (yeah…he still works there). But even all that was just rumor. The truth is, neither audience, nor talent, has any idea what’s happening. Both Jay and Conan are forced to awkwardly address the unknown in their monologues each night and all we get are tension-filled jokes that do nothing but make everyone feel uncomfortable. It’s like the network was waiting for us to pick sides. Well, yesterday most of us did. We picked Conan’s. Tuesday afternoon Conan O’Brien elected himself the adult in the room and spoke. And he addressed his fans and the network with such grace and honesty that the entire Internet fell in love with him. He won our hearts in such a way that the letter should be preserved as one of the best handled branding nightmares to date. That letter has probably saved Conan millions of dollars in his next contract. Here’s the thing: Before yesterday afternoon, the network was just waiting for Conan to quit. They didn’t care about his fate. They wanted him to disappear and for Jay to take back his slot so everyone could pretend the original swap never happened. He had no leverage to protect himself. Nothing to hold onto. With the letter, he does. Conan’s letter to ‘the people of Earth’ was the perfect example of how pro-active ORM can change an entire conversation and earn brand affinity. The Team Conan Facebook page exploded with thousands of new fans as news of the letter was made public. People are now invested in his plight. Why? Because the way he addressed the public was honest, humble and presented Conan being a class act. Will that letter impact NBC’s decision? Probably not. Conan will probably still get screwed. But when they move Leno back and Conan nobly steps down, you can bet his offers have just skyrocketed, both in numbers and cents. People feel far more invested in what happens to him than they did 24 hours ago. Even if NBC doesn’t care about Conan, his audience does. They will fight for him. And more importantly, a huge spotlight was cast on the truth of what happened. 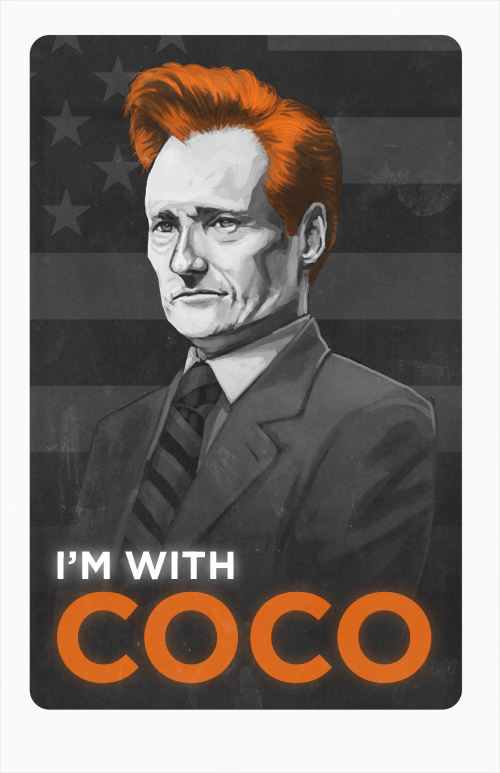 NBC is now the villain; Conan is the hero. That’s how you save a brand. If you want to see pro-active ORM done right, go read the letter.